This quality built home is positioned on a slightly elevated block within easy distance to all the local amenities on offer including shopping, sporting fields, walking tracks, medical facilities and schools. Large and open layout with two separate living areas, one being connected to the kitchen and dining area. 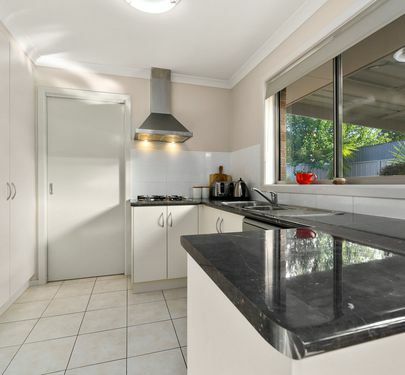 Modern kitchen offers all conveniences including a dishwasher, pantry and gas cooking. Stylish throughout with four good sized bedrooms with built in robes, the master bedroom with a large en-suite and walk in robe. Heating and cooling comfort all year round with a ducted system throughout. Undercover BBQ & Alfresco area. Low maintenance yard and brand new garden shed.